The School of Earth Sciences’ Orton Geological Museum is a public museum with rocks, fossils and minerals, located in Orton Hall. It is also a research facility, housing more than 54,000 numbered specimens, visited by scholars from around the world. Both the building and the museum are named for Edward Orton, Sr., the first president of Ohio State. It is first and foremost an invaluable and unparalleled research resource that is in constant use, available not only to our own faculty and students but to scientists around Ohio and across the globe. There is no fee for admission to the Museum or for any of our services. The museum offers free fossil identification service. The museum contains one of the largest fossil collections in the Midwest. Edward Orton donated the museum’s original core of 10,000 specimens. Orton Hall was built using stone native to Ohio – the outer courses are in geologic order, oldest at the bottom. The Museum Store has models, minerals, fossils, books, posters, and many dinosaur items for sale. Services include guided tours of the exhibit hall for schools and other groups, talks on geological subjects, and the identification of rocks, minerals, fossils and bones (but not artifacts). The closest parking is in the Union South Garage, just a short walk from the Museum. Current exhibits feature the geologic history of Ohio plus fossils and minerals from all over the world. Among the exhibits are actual mammoth and mastodon teeth, a full-sized replica of a Tyrannosaurus rex skull, a fluorescent mineral booth, and meteorites. The centerpiece of the exhibit hall is the 11-foot long skeleton of a giant ground sloth, excavated in Holmes County in 1909 and recently carbon dated to 13,100 years ago, during Ohio’s Ice Age. 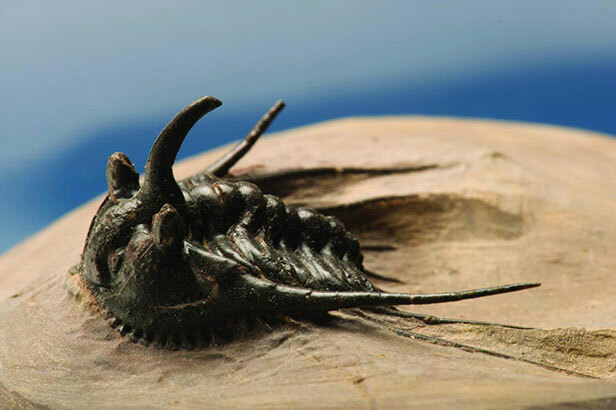 Visitors can also learn what Ohio was like from the Ordovician through the Carboniferous Periods. Type and figured specimens from many of the original paleontological investigations of the geology and paleontology of Ohio, including specimens from the works of James Hall, Grace Anne Stewart and many others. Collections are comprehensive but have an emphasis on the Ordovician and Triassic. Type and figured specimens as well as stratigraphic collections are present. Unique collection of ammonites leading up to the end-Cretaceous extinction from the work of Carlos Macellari. Type and figured specimens from the monographic work of Richard D. Hoare and Myron T. Sturgeon and two extensive collections, Pennsylvanian Period fossils. More than 4612 specimens. Material from the former Ohio State Mineralogical Museum. More than 6,000 specimens from alumnus Jack Delong.